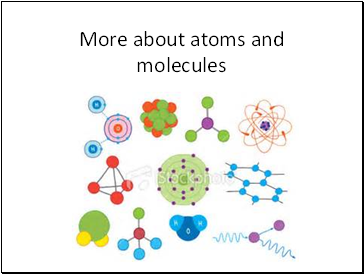 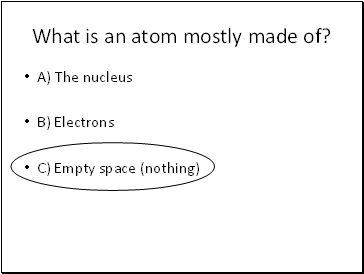 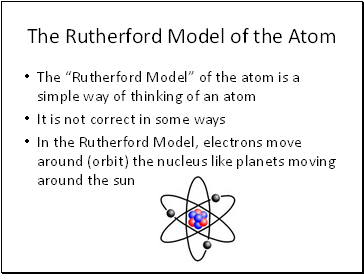 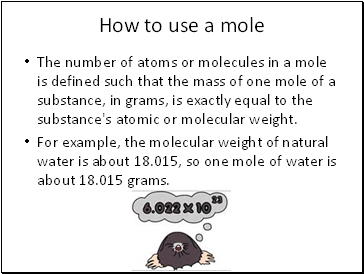 What is an atom mostly made of? 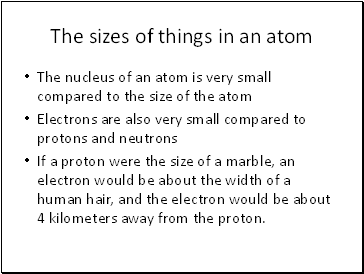 If a proton were the size of a marble, an electron would be about the width of a human hair, and the electron would be about 4 kilometers away from the proton. 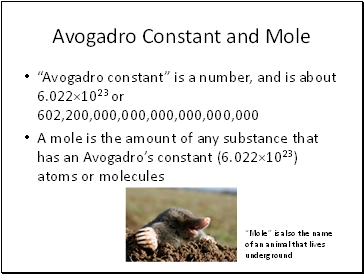 If I roll a 6-sided die, the probability of rolling a 6 is 1/6 (0.167). 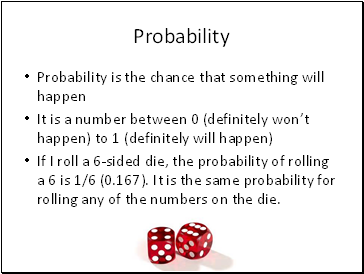 It is the same probability for rolling any of the numbers on the die. 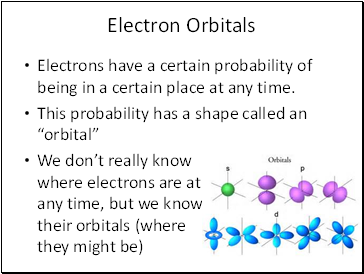 Electrons have a certain probability of being in a certain place at any time. 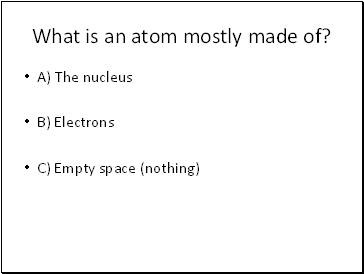 If it has a positive charge its called a cation. 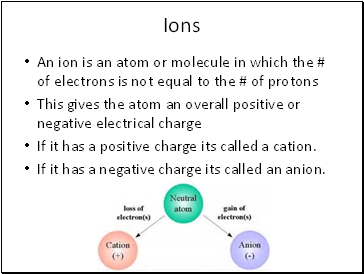 If it has a negative charge its called an anion.